Mehdi Abeid has played two excellent games for Newcastle against Manchester City and Liverpool in the last four days, and over the last three games we cannot really say we have missed the injured Cheick Tiote too much. 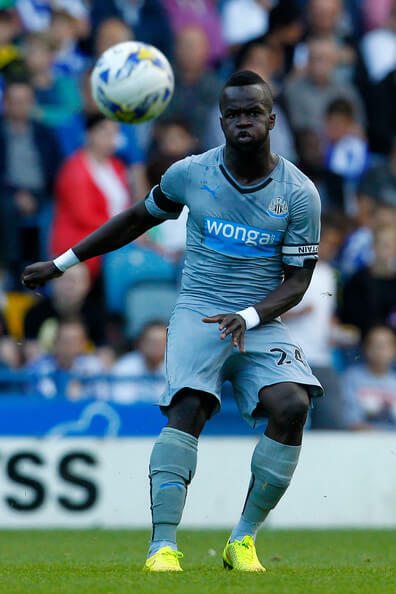 Cheick Tiote – will we sell him in January? And there’s news in the Mirror today that the 48 times capped Ivory Coast International is a target of Serie A side Napoli, and a January bid is expected. The news is that the top Italian side is going to bid £12M for Cheick, although the Magpies (make that Mike Ashley) are thought to rate Tiote at around £16M. But after our season collapsed last January, after we had sold our other top central midfielder Yohan Cabaye to PSG for £20M – we wonder if owner Mike Ashley has learned that mid-season is just not the time to sell your best players? And if Mehdi Abeid continues with his good form, the calculation in Mike’s mind could be that Newcastle can do without Cheick, and that we could again take the money (and run) at the expense of the side. The Newcastle manager Alan Pardew will resist any move of one of his best players – but it’s not Alan’s decision to make – and Mike Ashley is the only decision maker on transfers on Tyneside. Cheick has made noises that he wants to leave Newcastle, but there’s just no way we should let Cheick leave in January, and what we should be doing is building up the competition for places in every single position. If we do that we can have a more than decent side at Newcastle, because we’ve seen in the last three weeks that we have some excellent youngsters coming through at the club. I don’t mind seeing this myself. Tiote doesn’t seem that commuted of late. Always out with little injuries, missing 2/3/4 games all the time but never seems injured when he plays two lots of 90 minutes for the Ivory Coast every chance he gets. I might be doing him a huge disservice with that comment, but that’s how I see it. On form he is the best holding midfielder we have at the club by far. But if we can do similar business as we did with Debs, By bringing in a player first of the calibre of Janmatt and co then ???? Or use the money to bring in a very good striker. We have Colback, sissoko, Anita and abeid for the middle. Don’t rate Anita much but still have those 4 to cover 2 positions. I think Riviere and Facunda are for sure looking like mistakes. Perez hopefully has a future, But for me Riviere does not look like a player that leads the line. what a win. today we saw abeid move ahead of the ineffective anita as a midfield option. goufran replaced by sammy, rolando or cabella as winger options. this team is moving forward. Well I am still confident with cisse, not a world class player but decent prem league player. Perez I’ve liked from game one, seems very clever. We are lacking a dominant forward, a benteke, a costa, a Bony, etc. Would give us better balance and good options then. Rivière could be ok, maybe in a role similar to Sammy/Aarons/obertan but not as an out and out forward. Rated highly so can see why they went for him, but pricey for what I’d seen of him though. If Abeid keeps putting in MOTM performances (and we keep winning) then Tiote won’t even get back in the team. We’ll be lucky to get the £12mil never mind trying for £16mil. Nobody will pay that. He’s a decent player but he’s just not quite there. I don’t think we have missed him. Let him go bring in a right back amd lwft back to challenge, Santon and Dummett at CB and let Colo go. Plus we got Siper Ryan Taylor to play in the middle. Let tiote go i say. I think Tiote should be sold this season. Someone rightly pointed out that he misses two many matches for injuries these days. So, $12m wouldn’t bad for a player who misses10/12 premier league matches every season. I would say since we have a good midfield backup, we should sell Tiote and bring in a younger talent at the half price, like the deal we did with Debuchy and Janmat. If Ashley’s insisting on dealing players in the January window, he should learn that January’s time to buy and the summer the time to sell. New players bed in when his likely predecessor’s still available. HIs injuries are getting frustrating but he is top class when healthy. 12 million would be the least. I was imagining a midfield trio of Tiote and Song with sissoko in front like he player today. Destructive and they all have a decent pass. Totally disagree with you on Riviere? He,s just a kid and when he was bought was seen by many as one for the Future! He,s only been on thr Park once or twice? If i remember rightly as a Sub? Give him Time, and he,ll come good, probably just need fattening up and some condition training. A few Kebabs down the Toon, he,ll be fine ! If Tiote is sold in Jan? We should be going in for Virgil van Dijck from Celtic and making a deal for Diarra too? But heh, its the beginning of November and any talk of Tranfers in Jan is still 2 months away! Should’ve cashed in on this fella long ago. Colback and Albeid are the engine room of choice, it’s the first time in ages I have seen our often questionable back line protected by a hungry, edgey midfield. The kids are alright Pards, let them start games and they will shine. Same goes for Aarons who is class and Perez, there’s something about his persistance and poaching that remind me of Gnasher Suarez. Go to OLX and Sell It! Sorry pls, sell him now that he still has some form of value. 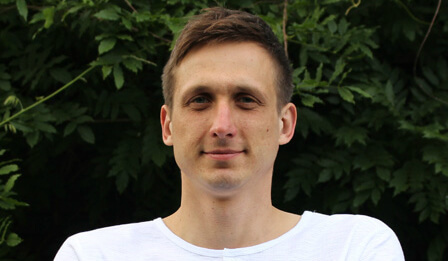 I think Bigi and Anita (and now RT as we saw against Man City) are good cover for defensive midfield. We still haven’t brought the utility man (Haris V) who could make an impression here at NUFC. If Ashley sold Anita, Ferrera and Riviere we’d make similar money, more in wages and not reduce our prospects one bit.